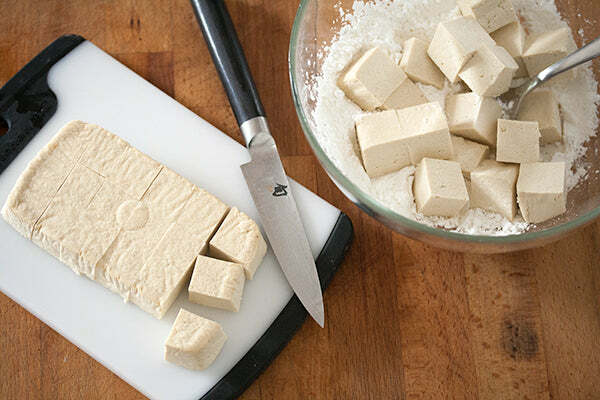 I firmly believe that any food is instantly a million times more delicious when deep-fried until crispy, and that’s certainly true as far as tofu is involved. 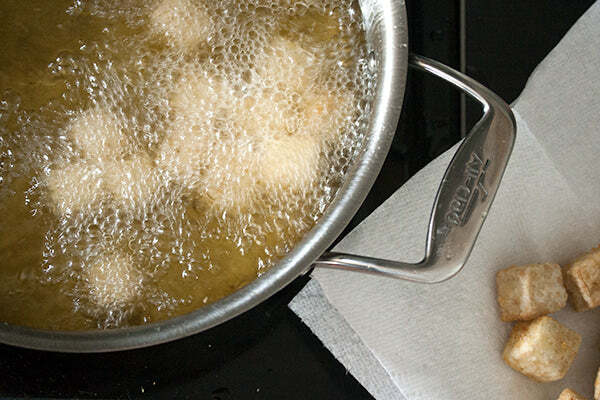 I know deep-frying pretty much cancels out any of the health benefits you’d normally get from tofu, but who cares when you’re gobbling down these delicious golden-brown puffs? 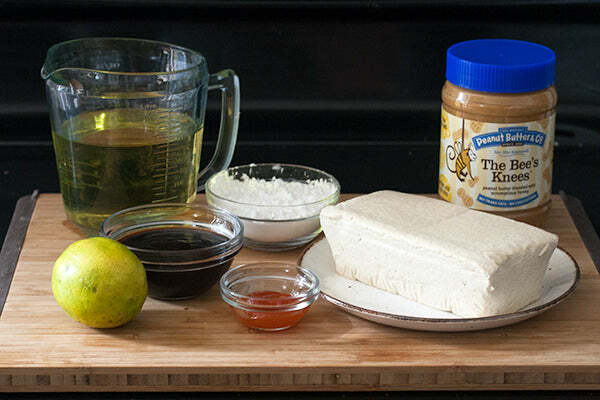 A sweet-and-tangy dipping sauce made with The Bee’s Knees peanut butter rounds things out for a tasty snack or appetizer that will have even the tofu doubters asking for seconds. 1. 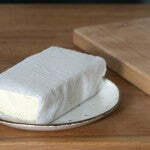 Wrap the tofu in paper towels, place on a plate, and then top with a heavy cutting board. 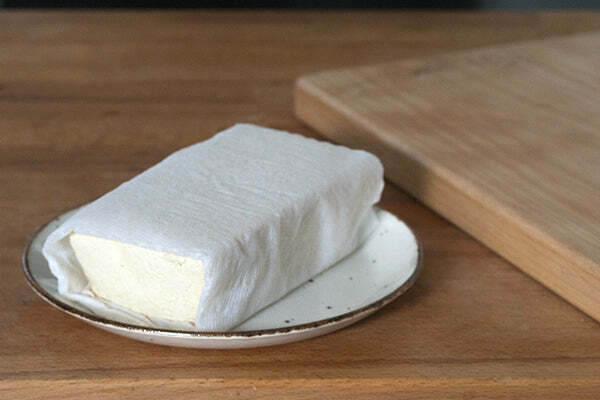 Let stand for about 30 minutes to press out most of the moisture from the tofu. 2. 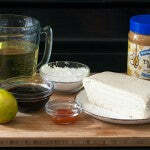 While the tofu is draining, prepare the peanut sauce. 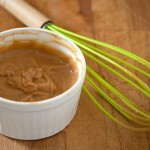 In a small bowl, whisk together The Bee’s Knees peanut butter, boiling water, hoisin sauce, lime juice and Sriracha until smooth. Set aside. 3. In a medium bowl, stir together the cornstarch, salt, and pepper. 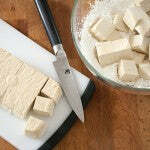 Unwrap the drained tofu and cut into 1″ cubes. 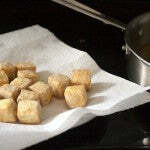 Toss the cubes in the corn starch mixture until well coated. 4. 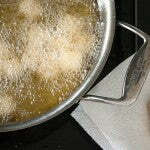 Pour 1″ of oil into a large heavy-bottomed pan set over medium-high heat, and heat to 375°F. 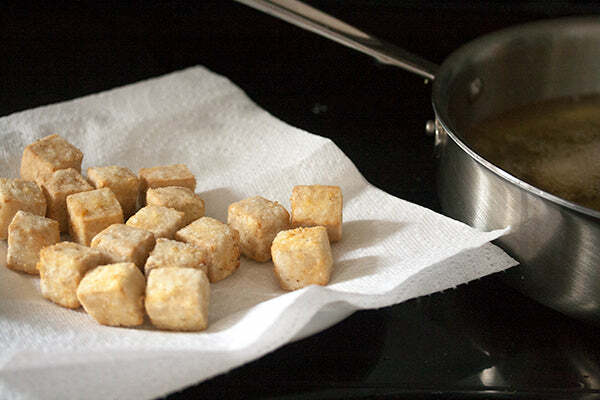 Working in batches of 4-5 cubes at a time to avoid overcrowding the pan, shallow fry the tofu for 3-5 minutes or until golden-brown on all sides, turning occasionally. Transfer to a paper-towel lined plate to drain. 5. 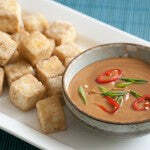 Serve the tofu while it’s still piping hot and crispy, with a small bowl of dipping sauce on the side. 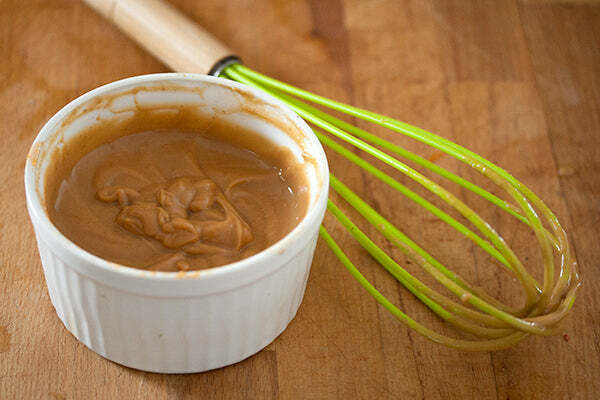 What other foods would you eat with this sweet and spicy peanut sauce? – The giveaway is open to USA residents only and will run until Monday, October 27th, 2014 at 11:59 PM EST. – Winner(s) will have until 10/31/14 to claim their prize or we will choose another winner. 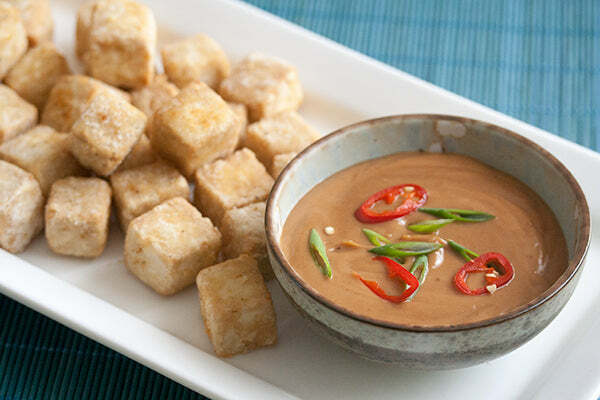 The post Crispy Tofu Bites with Sweet & Spicy Peanut Butter Sauce appeared first on - Peanut Butter & Co. Recipe Blog.